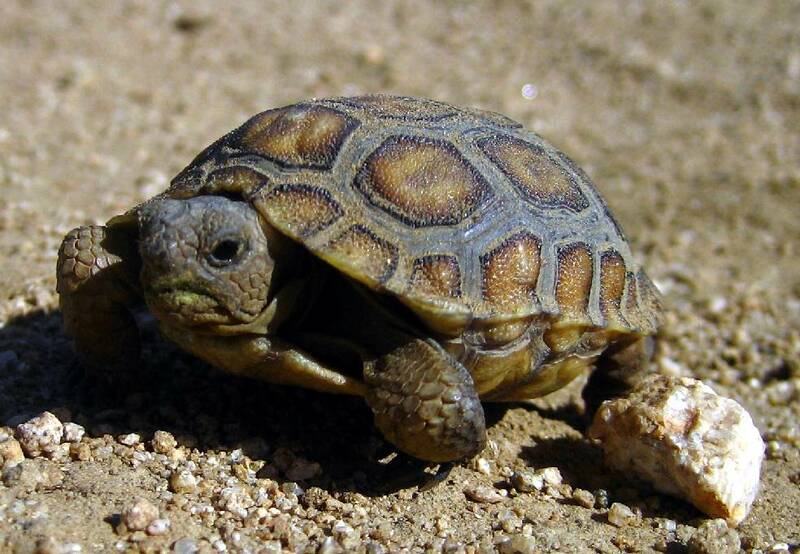 The Mojave Desert Land Trust (MDLT) in California acquires land to buffer already protected land, such as a national park, to buffer other types of public land, such as a Marine Corps base, to provide public access and to protect wildlife habitat, such as that for the region’s iconic desert tortoises. MDLT generally uses direct land acquisitions and has acquired 1,300 parcels totaling 58,600 acres. "Our acquisition program looks a little different because of the dynamics of desert land values," says MDLT Conservation Director Frazier Haney. Desert prices are low because little can be done with the land, so it makes sense just to buy the land outright, according to Haney. A typical land acquisition will see MDLT working in partnership with a public agency. "So much of our success is about collaboration," Haney says. MDLT will turn back the human disturbance on the site — roads, old homesites or dump sites. Then it will either hold on to the land to continue to manage it and monitor desert tortoise activities, or transfer it to a public agency like the National Park Service or the Bureau of Land Management. MDLT has transferred 690 of those parcels totaling 35,782 acres to National Park and Wilderness units. Recently the land trust acquired 690 acres on the edge of Joshua Tree National Park that included a trailhead into the park. Not only will this land create a buffer between the park and the developed land beyond, says Haney, but it quickly proved itself as excellent tortoise habitat. Baby tortoises have already been spotted there. Read Madeline Bodin’s biodiversity article in Saving Land.